Huawei MediaPad 10 FHD is the first tablet announced with HD display - 10.1" widescreen touchscreen with 1920x1200 pixels of resolution and allegedly sports very good colors and viewing angles. 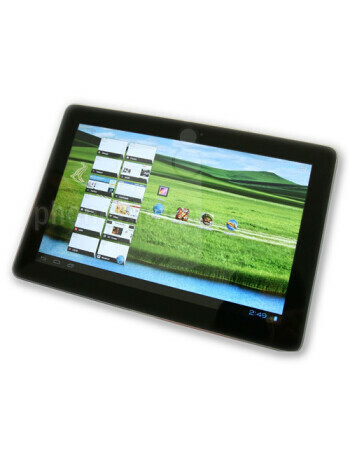 The Android ICS tablet will be powered by a quad-core processor and sports an 8MP rear camera and LTE as well. What is even more exciting is that Huawei MediaPad 10 is has included these top-notch specs in an 8.8 mm thin chassis, which is an impressive feat.